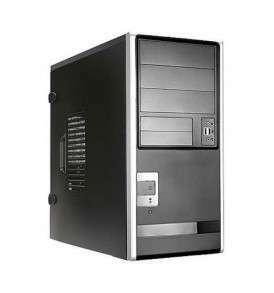 Do you need a computer with more than 1 or 2 PCI slots? The world of technology is ever changing, It’s getting harder and harder to source computers that have more than 1 PCI slot. PCI express (PCIe) has taken over both PCI and AGP’s place. Current chipsets from Intel don’t even natively support PCI anymore, if you find a motherboard with PCI slots they are probably using a PCIe to PCI bridge. The good news is that If you need to replace a system that needs multiple PCI slots to run your hardware there are still options. PCI was developed in the 1990’s as a replacement for the ISA bus expansion slots. By 1996 PCI was adopted as the standard expansion slot and was typically seen on computer motherboards along side ISA until around 2000 when ISA slots were dropped by most computer and motherboard manufacturers. PCI offered several improvement over ISA such as greater data transfer speed and also plug and play capability. There were several revisions to the PCI specification over the years including PCI-X which added 64 bit support. 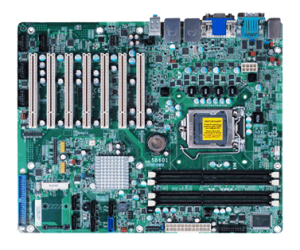 PCI-X were typically only offered on server and workstation mother boards. PCI express slots were introduced in 2004 and at that time PCI was renamed Conventional PCI. Conventional PCI slots continued to be the most widely used expansion slot on computer motherboards until around 2010. Motherboard makers started putting less conventional PCI slots on their motherboards and by 2014 most motherboards had only 1 legacy PCI slots and some had none at all. PCI express is not backwards compatible, so if you have legacy conventional PCI devices and replacing them with PCI express versions is not possible because of cost or availability. By the time the Intel Haswell CPUs came out native PCI support had all but disappeared from Intel’s chipsets. The new chipsets that support the socket 1150 CPUs use a PCIe to PCI bridge to allow for a PCI slot on these newer motherboards. While the bridged PCI slots don’t seem to be a problem, there have been some cases where native PCI is a requirement. 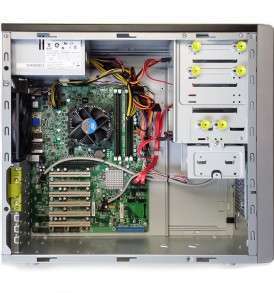 At Ram PC Systems we supply computers with multiple PCI slots, and our industrial class motherboards are still available with native PCI support. These industrial class systems are built for durability and their motherboards have a long life roadmap and will support your legacy hardware for years.